The product belongs to the line of supplements: SPORT LINE! 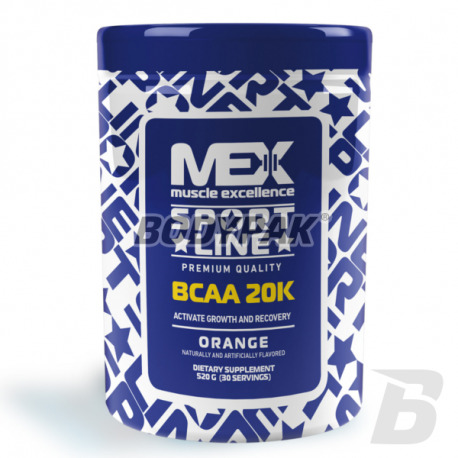 MEX BCAA 20K - a combination of branched chain amino acids (L-leucine, L-isoleucine and L-valine). Designed for professional bodybuilders, athletes and sportsmen who want to expand and strengthen muscle mass, which will allow for very fast overall physical performance levels previously unattainable. BCAA branched amino acids account for about 25% of the proteins that make up our muscles. That is why it is very important that at critical moments, such as a period of approximately training or just after waking up, ensure high levels of BCAA in the body. It is worth mentioning that the administration of branched chain amino acids improves our mood, concentration, helps control stress and aggression, improves sleep and increases the level of libido. The use of amino acids BCAA MEX 20K is very wide: it is worth used both during weight loss because of the anti-catabolic properties, as well as series of mass due to promotion by anabolic processes (are also a valuable building material). 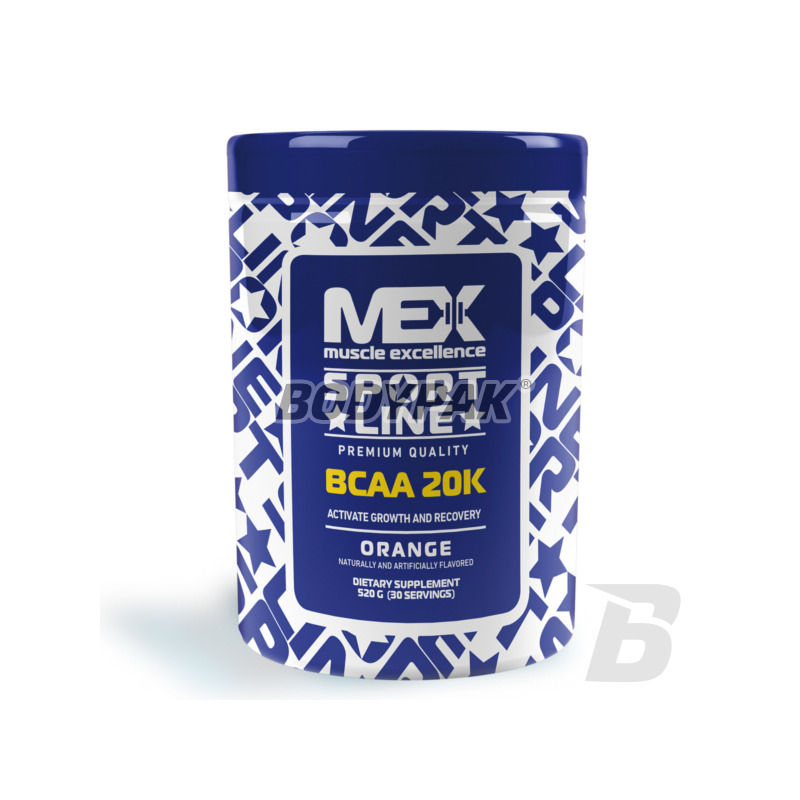 MEX BCAA 20K - good choice! Ingredients: Micronized L-leucine, L-glycine, L-glutamine, maltodextrin, L-alanine, glutamine peptides, flavors, micronized L-isoleucine, micronized L-valine, L-glutamic acid, L-alanyl-L-glutamine, citric acid - acidity regulator, guar gum thickener -, acesulfame K, sucralose - sweetener, riboflavin, carotenes - dyes, vitamin B6 (pyridoxine hydrochloride). Jak dla mnie nr 1 wśród wszystkich BCAA jakie stosowałem. Wszystko na plus - smak, działanie, rozpuszczalność. Nie może być inaczej jak 5/5 ! Activlab BCAA 1000 XXL - 240 tabl.